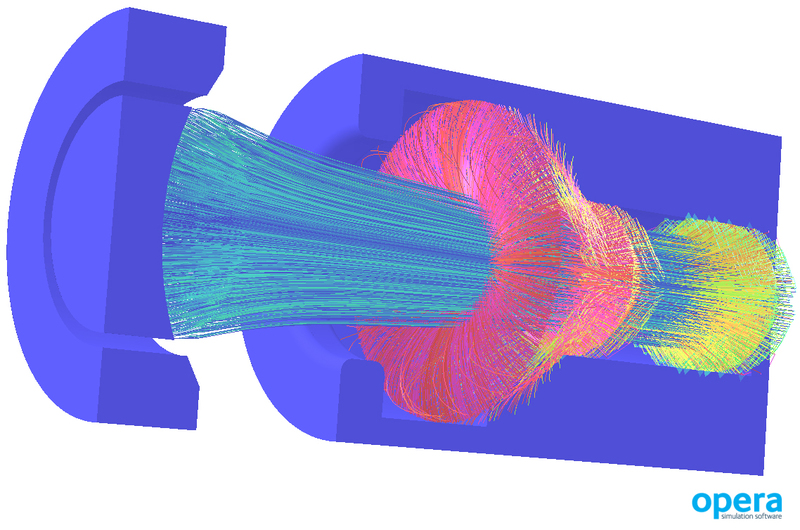 Oxford, UK, August 21, 2014 --- Faster simulation software for analysing charged particle devices has been released by the electromagnetic design tool supplier Cobham Technical Services. 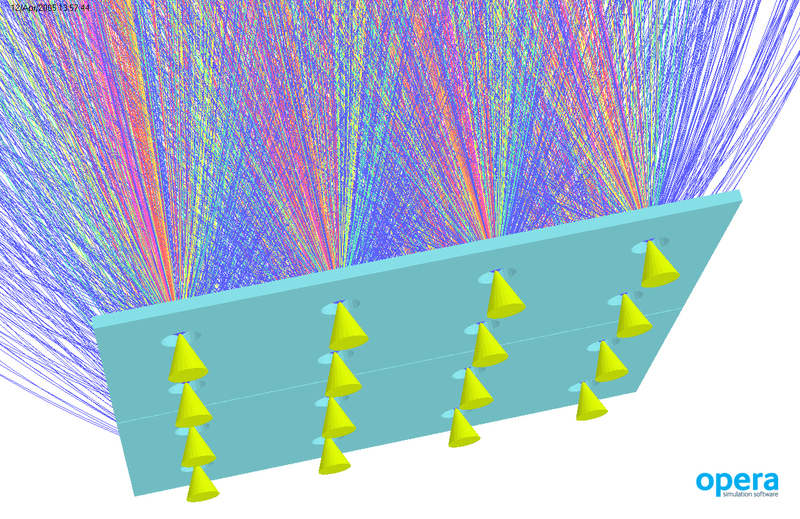 The new parallel processing software accelerates one of the major electromagnetic simulation solver options for Cobham’s renowned Opera-3d suite of electromagnetic and multi-physics design tools – which use finite element (FE) analysis to compute the physical interaction of charged particles with electrostatic or magnetostatic fields. 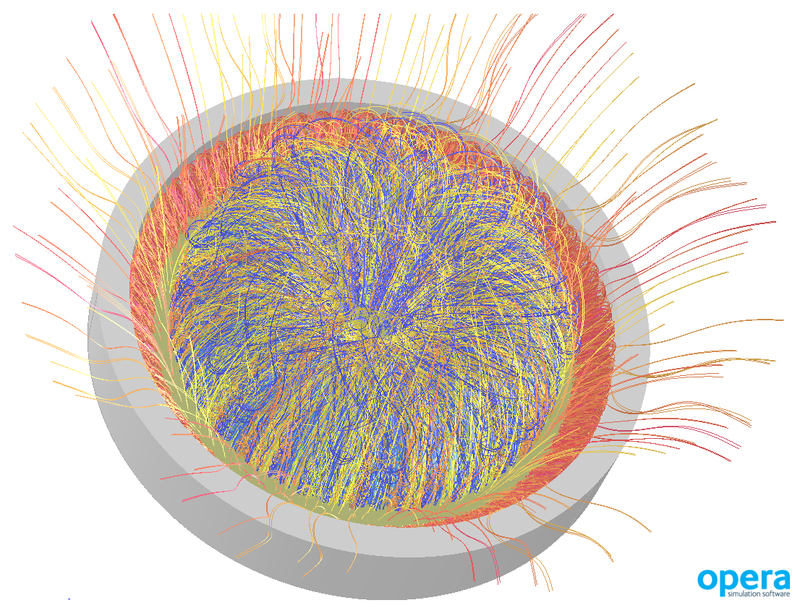 The effects of space charge, self-magnetic fields and relativistic particle flow are included in the analysis. Developed from the sequential processing version of Opera's space charge solver, also known as SCALA, the newly parallelised 3D Space Charge module uses code that is optimised for the shared memory architecture of standard PCs and workstations with multi-core processors. Although the speed benefit of parallel processing depends on model complexity, highly iterative and computationally-intensive analysis tasks can be greatly accelerated by the technique. By parallelising the solve process, including the existing efficient particle tracking algorithms, the parallel processing version of the 3D Space Charge module can shorten simulation run-times significantly. Cobham's 3D Space Charge module will be of particular interest to engineers and scientists seeking to reduce the development costs and programme timescales of devices such as electron or ion guns. Application areas include X-ray machines, electron microscopes, field emission displays, mass spectrometers, electron beam lithography equipment, ion-beam sources and magnetron sputter coaters. Cobham Technical Services, Vector Fields Software, Network House, Langford Locks, Kidlington, Oxford OX5 1LH, UK.